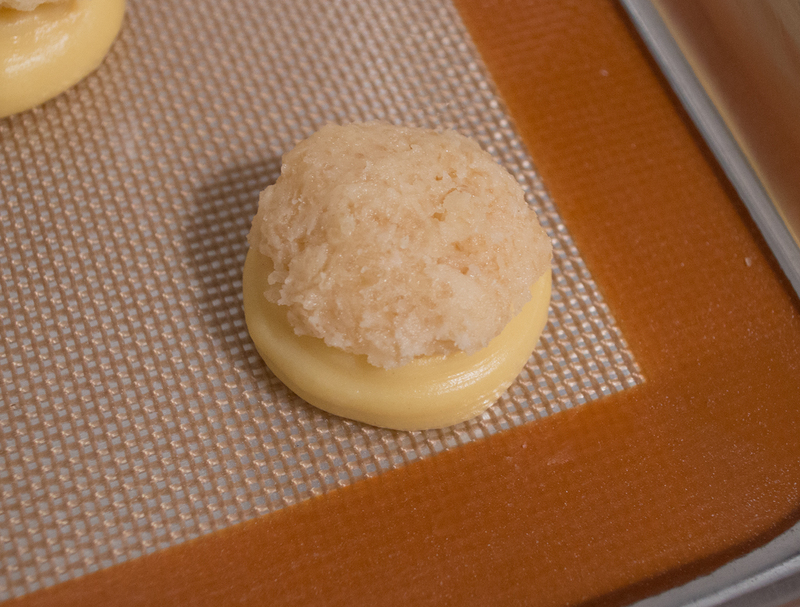 Poured fondant, our previous recipe that was posted for this choux series, focuses on decorating your pastries. Much like fondant, croustillant complements a soft pastry like choux. The crunchy top is a great accessory, giving a sweet treat a clean look or a punch of color, depending on how chefs want to showcase their confections. Today, I’ve kept the streusel plain, knowing that I would be bathing the sesame and green tea choux in their corresponding fondants. Cream the sugar and the butter in a stand mixer fitted with a paddle attachment. Once it is light and fluffy, add the flour and salt. Mix on a low speed until combined. 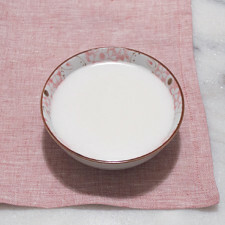 Scoop out the dough onto a large sheet of parchment, and place another sheet of parchment on top, sandwiching the dough. Flatten the dough out with a rolling pin to 2-3mm in thickness. Slide it onto a cookie sheet, and slot it into the freezer for 45 minutes to an hour. Remove the top parchment and slice the croustillant into desired size. Use them for the tops of choux and enriched breads. Make sure your butter is pliable, so that the sugar and butter will cream well. You are welcome to use granulated sugar for this recipe; just use the same amount in weight, 100g (½-cup). It is easier to flatten two balls of dough than one large ball. Feel free to divide the dough in half and roll out two smaller sheets of croustillant. It will also make it more convenient to slot them into the freezer on a half-sheet pan than a full size one. Freezing times can vary, but what we want is a solid piece of dough to work with so it is easier to handle. The sheer amounts of butter and sugar in this recipe make this a very tender dough. As you transfer the cut pieces of dough to your choux and pastries, keep the dough on the cookie sheet; the cold metal pan will keep the dough from melting quickly. If it feels difficult to handle, pop the pan back into the freezer for 5 minutes to have the butter re-solidify. Made our Recipe for Croustillant - Cookie Topping for Pastries? 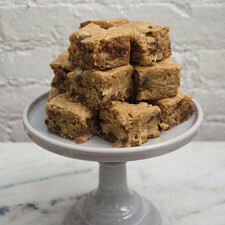 No thoughts on "Croustillant – Cookie Topping for Pastries Recipe."